Santa Jim Yellig from the early days at Santa Claus Land. In the early ’40s, retired industrialist Louis J. Koch conceived a retirement community in Indiana. During his travels, he visited Santa Claus, Indiana, only to be heartbroken for countless children. Families would travel to the town and children would be horribly disappointed to find that Santa Claus wasn’t even there. So, Koch opted instead to develop a park where kids could see the jolly man year-round. It would become the first theme park in the world. Original construction was delayed by WWII, so ground didn’t break for Santa Claus Land until August 5, 1945. In just one day less than a year later, the park opened. Santa, of course, was there, as was a toy shop, a restaurant, and themed rides for the kids. Admission was free. 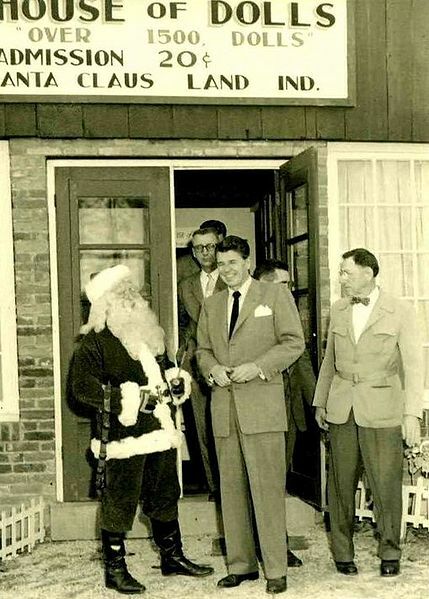 In 1955, Santa Claus Land started charging adults 50-cents, but children could still enter the park free. The funds helped offset costs of new rides and sections, including Pleasureland (which would later become Rudolph’s Reindeer Ranch). 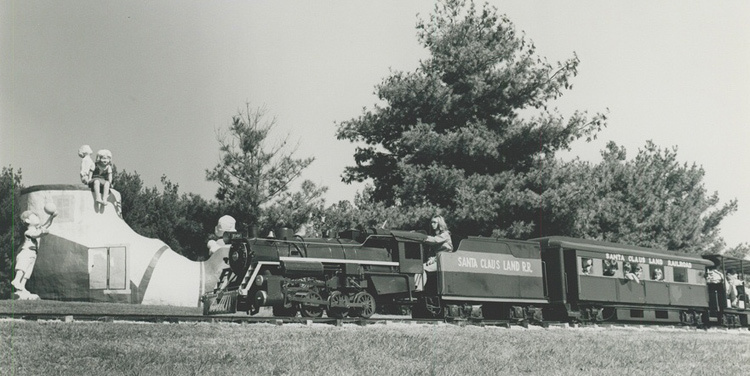 Through the mid ’70s, the park focused on children, adding new rides and other attractions over its first three decades. The park even had a deer farm. 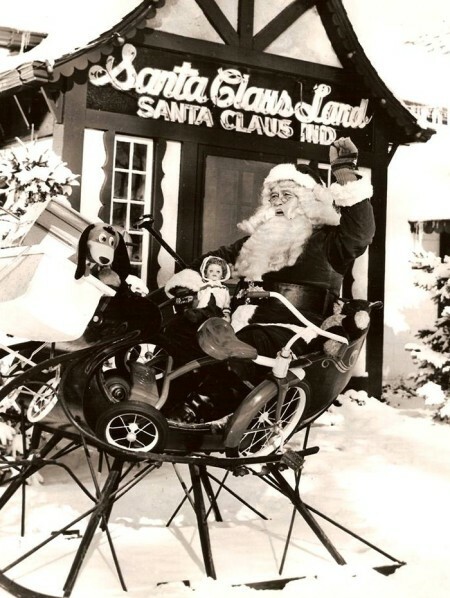 In the late ’70s to mid ’80s, more thrilling rides were added as Santa Claus Land transitioned to a family theme park. Additional themes were added: Halloween and Fourth of July, and the park was renamed Holiday World. In 1993 a water park, Splashin’ Safari, was added to the mix, attracting even more tourists. But it was the addition of The Raven roller coaster that gained Holiday World national attention. A wooden coaster, The Raven was named Ride of the Year in 1995, and ranked as the world’s second best wooden coaster. It would later hold the #1 spot worldwide for four years. While modern trends, as well as technology, has resulted in many changes, Holiday World is still very much about the little ones. Santa Claus chats with children every day, even in the dead of summer. If you plan on visiting Holiday World, note that it is closed from November to April. There are some cool freebies, though. Parking is free, as are soft drinks, sunscreen and Wi-Fi. You’ll want to spend a little time in the town of Santa Claus, too. Home to the world’s only post office bearing the name Santa Claus, thousands of letters are addressed to Santa Claus there every year. Since 1914, volunteers ensure every child receives a reply from Santa. It is a small town of about 2,500 residents, but is considered a top Christmas destination.